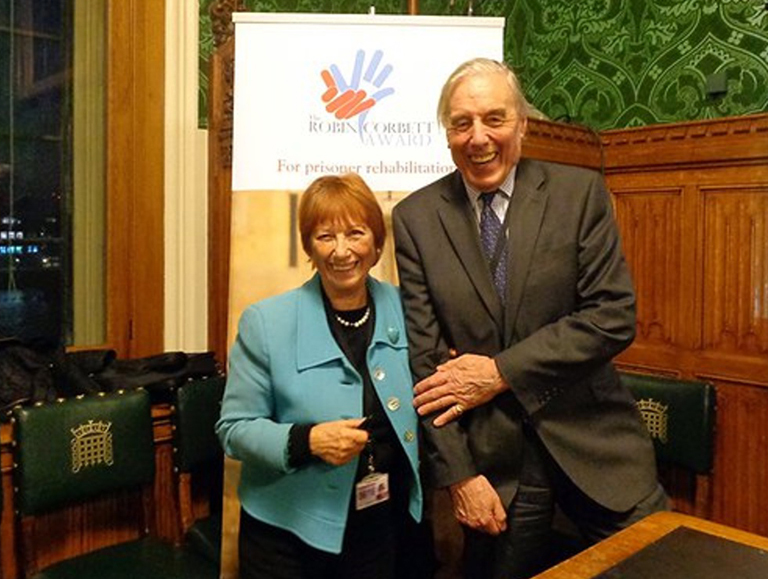 Throughout his long political career, Robin Corbett was passionate about prisoner rehabilitation. For ten years up until his death in 2012, he chaired the All Party Parliamentary Penal Affairs Group. He was also a patron of the Forum on Prisoner Education and the National Association of Ex-Offenders. However, he was not merely a “name on the letterhead", but was actively involved in prisoner rehabilitation; he was personally in contact with several prisoners both during their prison sentence and upon their release. “All men die, but some men live on"
After his death, his wife, Lady Val Corbett, wanted to ensure that his legacy would live on, given how much he had done for so many during his lifetime. She therefore created the Robin Corbett Award for Prisoner Rehabilitation in 2013 in association with the Prison Reform Trust. It is an annual award for outstanding rehabilitative work with prisoners done by a small charity or community group working in partnership with prison staff. It champions work that fosters personal responsibility and encourages people in prison, and ex-offenders, to help themselves and others. “we become one big sea rather than little individual ponds…We need to make people realise that without prisoner rehabilitation, prison cannot and will not ever work." 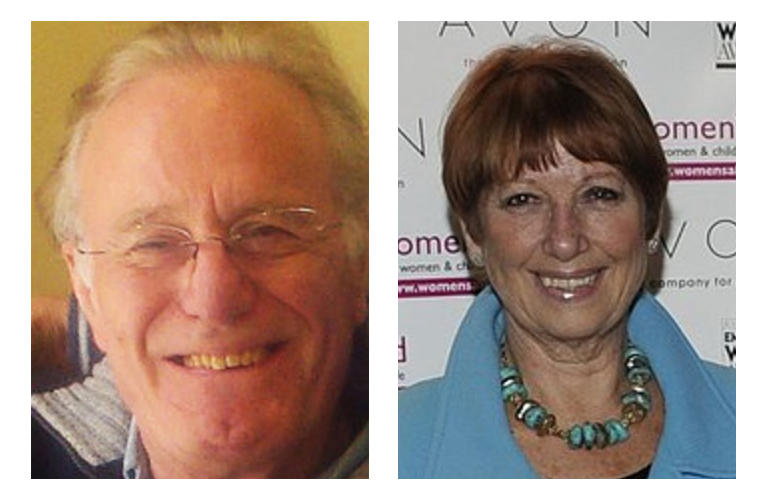 The recipients are chosen by a judging panel, presided over by Lord Ramsbotham, a former Inspector of Prisons. The panel studies each of the rehabilitation projects before selecting the winners, runners-up and those commended. 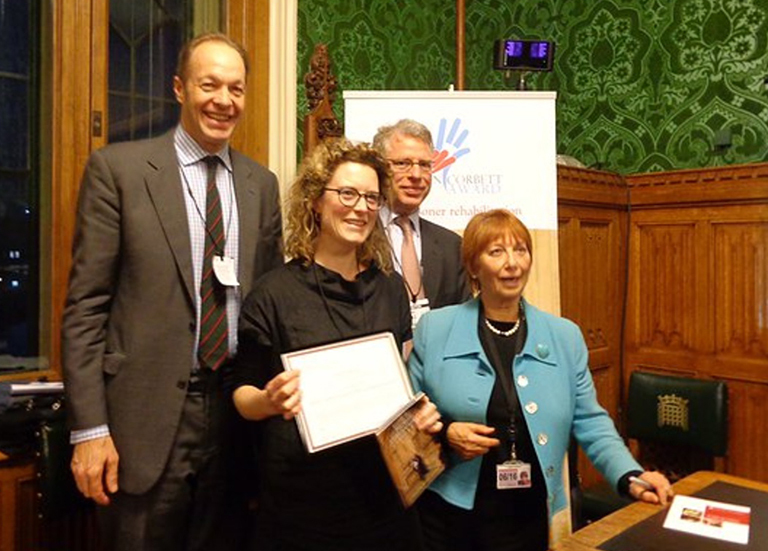 The awards and cash prizes are then presented in Parliament at a meeting of the All Party Parliamentary Penal Reform Group in the House of Commons. The Worshipful Company of Weavers pay all admin charges which means that 100% of all donations go to the prize money for charities which win the Award each year. The award allows its recipients not only to receive the necessary funding to continue contributing to the field of prisoner rehabilitation, but it also gives them the opportunity to gain both local and national publicity. For Lady Val, this is an extremely important aspect of winning the award. With a media that is fixated with highlighting the negative aspects of prison life, positive coverage is enormously difficult to receive. Lady Val hopes that it will become one of the premier awards in the UK for prisoner rehabilitation. The Robin Corbett Award for Prisoner Rehabilitation is proud to be a Partner with The Exceptionals as both charities believe that prison should not be society's revenge but rather a change to change the direction of a life.